Nikon has completed what it views as the complete professional compilation of cameras with its latest launch ? the D3x. The new model is touted as Nikon?s flagship DSLR, boasting a whopping 24.5MP full-frame sensor outputting NEF files weighing it at over 50MB. Outside of the addition of masses of megapixel, much remains the same in the D3x as was with the D3 previously. 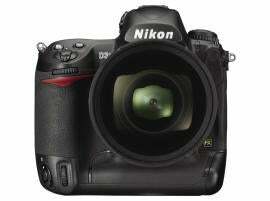 The sensor is the same physical dimensions, for example, being Nikon?s full-frame FX format. The D3x does, however, feature a restricted ISO range in comparison to the D3, while also having a frame rate of 5fps at full resolution in comparison to the D3?s 9fps. The D3x?s position at the top of the Nikons DSLR tree is clear, and it boasts a price tag to match ? it?ll set you back £5499 and will arrive of shelves towards the end of this month. For a full specification, head on over to Nikon. One of the consequences of the masses of megapixels is large files, perfectly suited for large format printing.